Are they deviled eggs? No! It's a breakfast sandwich!! As you may have gathered from my previously posted recipe, at this moment my kitchen is well-stocked with goat cheese and tomatoes, a Heavenly combination. This breakfast sandwich was inevitable. And delicious. I had to eat it with a fork and knife, but the eggs were so nice and creamy and the flavors were nicely balanced that I will definitely be trying this recipe again in the near future! Arrange tomato slices over toasted English muffin halves and set aside. Melt butter in a small skillet over medium heat. Crack eggs directly into skillet and begin stirring with a wooden spoon. Season with salt and pepper, lower heat to medium-low and continue to stir eggs until they become a very soft scramble, a few minutes. Add goat cheese and continue to stir eggs on low heat until the eggs are nice and creamy and the goat cheese is nicely dispersed throughout the eggs, another minute. 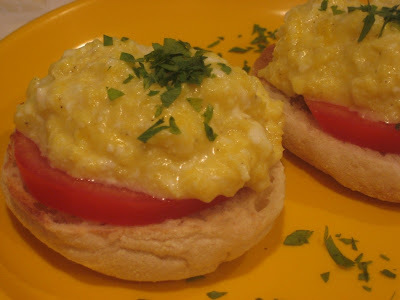 Remove eggs from heat and spoon soft scrambled eggs over tomato slices. Garnish with a little chopped parsley if desired. Serve with a fork and knife. Enjoy! Melt 1/2 the butter in a frying pan over medium heat. Beat eggs with a little salt and pepper in a bowl. Dip bread slices one at a time into the eggs, coating both sides with egg (don't let it soak for long, it's not meant to absorb the way other French toast does, just nicely coat the bread). Fry 3 pieces of egg-dipped bread at a time in the pan (or adjust the size of your batches to the size of your pan). Cook on each side for a few minutes until nice and brown. 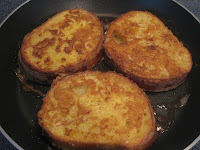 Remove from heat, melt remaining butter in pan, dip the last 3 pieces of bread into the egg and cook them the same way. 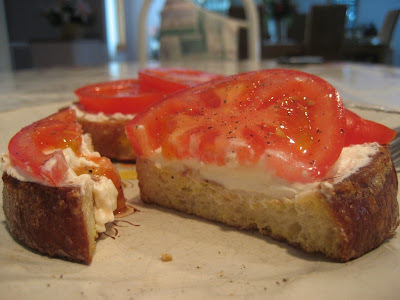 Spread goat cheese thinly over the cooked dzoo-ov hotz and top with slices of tomato. Season with salt and pepper and serve. It is easiest to devour these with a knife and fork. I was hungry the other day and while searching in my freezer for something appetizing, I discovered a package of lobster ravioli from Trader Joe's. I glanced over at a pile of fresh tomatoes and knew what I'd be eating for lunch. 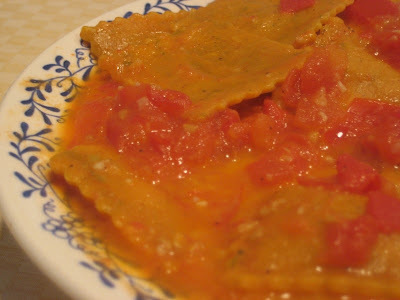 You can obviously make your own ravioli, or use any kind you like, but this is what I used, and the sauce (although untraditional for a vodka sauce--they are usually less chunky and more pureed) was delicious! Bon appetit! Cook ravioli in salted boiling water according to package directions. Drain and set aside. Drizzle olive oil in a saute pan and add the garlic, cooking over medium heat. Before garlic begins to brown, add the chopped tomatoes and cook until tomatoes start to break down and form a thick sauce, a few minutes. Add vodka off the heat, return to heat and cook until alcohol evaporates, another couple minutes. Add heavy cream and season with salt and pepper and continue to cook for a few more minutes. Finally, add the lobster ravioli to the sauce and toss lightly to coat with sauce. Serve immediately with a garnish of chopped parsley if desired. There are few things in this world that make me happier than a scone. I'm serious. Give me a good scone and I'll show you a smile. Scones in America for the most part disgust me. They are huge, sugary, and dry (literally sticking to the roof of my mouth at times), three big no-no's for a scone. Scones are meant to be dainty, not too sweet, flaky and moist! Think of them as the slightly sweeter cousin of a biscuit. These were my first scones using fresh berries as opposed to dry fruits, and although a nice raisin or dried cherry scone is delicious, I think in the summer it's worth using some fresh produce to make these scones out of this world. The heavy cream with make them a little richer and more decadent, while using buttermilk will give them a light tang. Either way they are delicious so just pick your poison and have a ball. You can also use this same basic recipe and just change out the blueberries for raisins or other chopped dried or fresh fruits. Enjoy them with a spot of tea and you'll feel you're on holiday in the heart of Great Britain. Cheerio!! Heat oven to 400 degrees F. Line a baking sheet with parchment paper and set aside. If using an electric mixer: In the bowl of an electric stand mixer fitted with the paddle attachment combine flour, sugar, baking powder, salt, and lemon zest and low speed until just mixed. Add cold butter cubes to the flour mixture and turn on mixer to medium for a few minutes until mixture resembles coarse pea or dime-size crumbs. Add blueberries and turn on mixer again on very low just until the blueberries lightly combine into the flour/butter mixture. Add the egg and heavy cream/buttermilk to the flour mixture on low until just combined or mix in by hand (you may not need all of the liquid if the flour absorbs it all, add most of it at first and add the last bit if necessary). If mixing by hand: In a large bowl combine flour, sugar, baking powder, salt, and lemon zest. Add cold butter cubes to the flour mixture and work the butter into the flour mixture, using your fingers or a pastry cutter, until the mixture resembles coarse pea or dime-size crumbs. Be careful not to overwork the mixture or the butter will soften too much and the resulting scones will not be flaky. Add the blueberries and toss well. Then add the egg and the heavy cream/buttermilk to the flour mixture and mix until just combined (you may not need all of the liquid if the flour absorbs it all, add most of it at first and add the last bit if necessary). The dough will be wet and sticky. 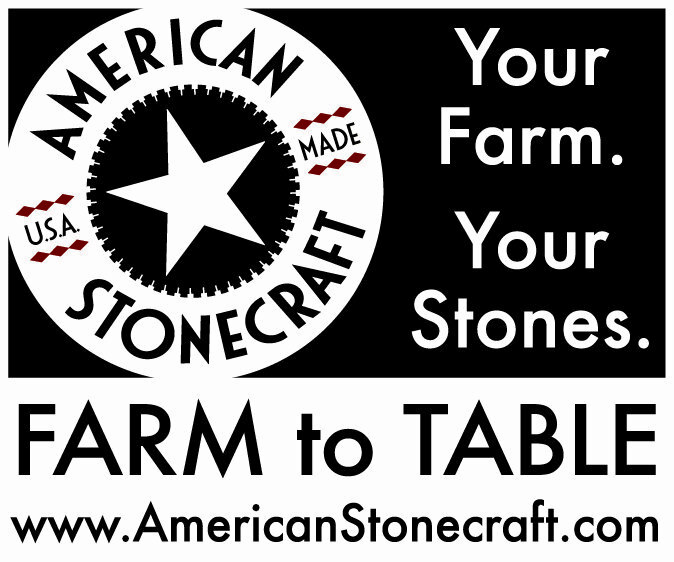 Scrape dough onto a nicely floured large wooden cutting board or work surface. The dough will be sticky, so take extra care flouring your hands and the sides and top of the dough as well, lightly patting it flat and into a rectangle shape, about 3/4 inch thick (make sure it doesn't stick! Add more flour to the board if necessary). Don't overwork the dough, as you want the butter inside to stay as cold as possible until the scones head into the oven, ensuring a flaky result! Who doesn't love cupcakes?! I'm a big fan. They are adorable, individually-sized treats that are hard to resist. 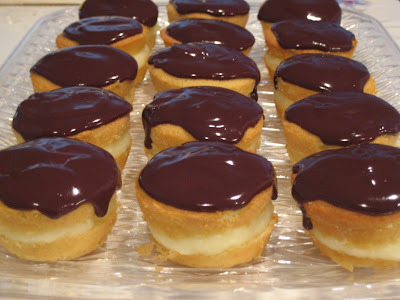 I love Boston Cream Pie, and these tiny versions are great! To be honest, I can't eat just one. I generally need to consume at least two to satisfy my craving. They are so pretty, too! Excellent for entertaining. Your guests (like mine) will be very impressed! This recipe is adapted from Martha Stewart's. Check out the Summer 2009 Cupcake Crawl and please vote for me between July 20-25th. Thanks so much!! Preheat oven to 350 degrees F. Brush the muffin tins with butter, dust with flour, and tap out the excess. Whisk together the flour, baking powder, and salt. Combine milk and butter in a saucepan and set over low heat until butter melts. With an electric mixer on high speed, whisk eggs and sugar until fluffy, pale yellow, and thick, about 5 minutes. Reduce speed to medium, and gradually add flour mixture until just mixed. Bring milk and butter to a boil. With mixer on low speed, add hot milk to batter in a slow, steady stream. Mix until smooth and beat in vanilla. Divide batter evenly among muffin tins (using a ladle is a good idea, as the batter is very liquidy). Bake, rotating tins halfway through, until cupcakes are golden and a cake tester comes out clean, about 15 minutes. Transfer tins to wire racks to cool for 10 minutes, then run a small knife around the edges of the tins to loosen cupcakes. Turn out cupcakes onto racks and let cool completely. Use a serrated knife to gently split cupcakes in half horizontally. 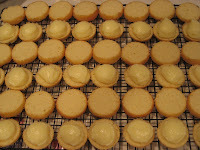 Use a small ice cream scoop (about 1 1/2 T.) to distribute pastry cream among the bottom of the cupcake halves. Replace top halves and carefully press down lightly. Spoon about 1 T. ganache over each cupcake. Refrigerate 30 minutes before serving. Place chocolate in a heatproof bowl. Bring cream to a simmer in a small saucepan over medium-high heat, and then pour mixture over chocolate. Let stand, without stirring, for a few minutes until chocolate begins to melt. Gently stir chocolate into cream until the mixture is completely combined. Allow mixture to cool slightly before spooning over cupcakes.